Our goal is to connect people with the best local experts. We scored roofers on more than 25 variables across five categories, and analysed the results to give you a hand-picked list of the best roofers in Sacramento, CA. ACS Roofing in Elk Grove serves homeowners, businesses, and property managers in the Sacramento area. The family-owned business has operated for more than 30 years and is manufacturer-certified and Better Business Bureau-accredited. They repair and install roofs of asphalt shingle, clay and concrete tile roofs, and flat single-ply PVC membrane roofs. ACS Roofing is a member of the Roofing Institute, Sacramento Area Sustainable Businesses, and is certified by the California Contractors State License Board. Atlantis Roofing serves homeowners in Elk Grove and the Sacramento area. They specialize in repairing clay tile roofs with damage from hail or time. Their technicians also detect and repair leaks around chimneys and skylights. Other services include dry rot repair and regular maintenance programs designed to extend the life of any roof. Cal-Vintage Roofing Company has served the Sacramento Valley and Bay Area for more than 30 years. The family-owned and operated business provides roofing services to homeowners, businesses, property managers, and real estate agents. The experienced team specializes in all common roofing materials, and its services include installing new roofs, re-roofing, roof repairs, inspections, and regular maintenance. The business is Lead-Safe Certified by the EPA and is accredited by the Better Business Bureau. Cisco’s Roofing and Gutters serves both residential and commercial customers throughout the Sacramento area. The family-owned business was established in 1990 and specializes in expert roof installation, repair, and maintenance. Other areas of expertise include solar attic ventilation fans, seamless gutter installation, tubular skylight installation, fixed skylight installation, eave and ridge ventilation, dry rot repairs, domestic hot water solar system design and installation, and photovoltaic panel installation. 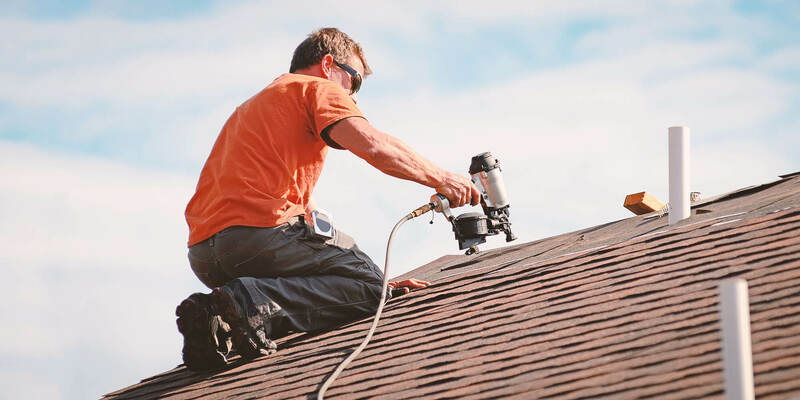 Clark’s Gables Roofing is a fully licensed roofing contractor in Roseville, whose owner/operator has more than 30 years of experience in the roofing industry. In that time, he has roofed more than 3,000 homes in the Sacramento area. Clark’s Gables Roofing is BBB-accredited and received a 2015 Angie’s List Super Service Award. Creative Roofing has served the Sacramento Valley, the Foothills, and the Bay Area for more than 25 years. Their roofing services include leak detection and repairs, and roof tear-offs and replacements. The residential and commercial materials they work with include asphalt shingles, cedar shakes, slate, metal panel roofing, clay tiles, and copper sheeting. They also install trim and accessories including vents, soffit and fascia, and downspouts. Crown Roofing is a family-owned residential roofing specialist with more than 40 years of experience in the industry. Thier specialties include repairs to concrete tile roofs, roof inspection and certification, insulation, and seamless gutter installation. Their skilled workforce completes work efficiently while maintaining a safe, clean workplace. CSR Roofing in El Dorado Hills builds and replaces roofs from a range of materials including asphalt, wood, tile, metal, and composite. The business has served Sacramento and the surrounding areas since 1999 and is accredited by the Better Business Bureau. Elite Roof Repair provides roof maintenance and repair services in the Sacramento Valley, the Lake Tahoe area including Reno, and the Bay area including San Jose. The business specializes in tile roof repairs and maintenance, and cedar shake repair and restoration. They offer flat fee services for repairs and a by-the-square-foot pricing schedule for full roof replacements. Gudgel Yancey Roofing has provided residential and commercial roofing service to the Sacramento Valley, the Bay Area, and Southern California for more than 26 years. Besides quality roofing, Gudgel Yancey specializes in designing and install commercial solar installations that can save customers up to half of their previous energy costs. They also help customers to apply for a 30% federal solar tax credit. Jim Moylen Roofing of Elk Grove, has served customers in Sacramento and surrounding areas since 1975. They specialize in roof repair, re-roofing, roof installation, and gutter installation and repair. They work with a range of common roofing materials, and offer free no-obligation quotes. Kroeck and Son's Roofing in Sacramento specializes in high-end residential roofing, including slate tile and copper sheet metal roofing. Their experts hold themselves to a high standard and build roofs to last as long as possible. They install new roofs and repair damage to existing roofs. They primarily serve Northern California, but have taken jobs throughout the western United States. Miller Roofing Services has served Sacramento homeowners and businesses for more than 35 years. They provide inspection, repair, and replacement of roofs throughout the surrounding areas. Senior citizen discounts and financing options are available. Miller Roofing Services is accredited by the Better Business Bureau. Pride in Roofing in Sacramento specializes in residential roofing with asphalt shingles and tile. They are available for emergency leak repair service for homeowners and real estate agents. Past clients appreciate their honesty and the quality of their work. River City Roofing in West Sacramento provides professional roofing services in the Sacramento Valley, the San Francisco Bay Area, and the Tahoe region. Their services include complete roof removal and re-roofing, repairs, built-up roofing, TPO-rubberized heat weld roofing, metal roofing, cool roofing options, and blown-in insulation. They also install seamless gutters and custom steel downspouts. Augmenting their regular roofing services, they also install roof-mounted solar panels. Roof Rangers is a family-owned and operated roofing business based in Galt that has served Sacramento and Central California since 1983. They provide the latest roofing technology for both residential and commercial customers, including a range of roof materials, restaurant roof systems, emergency repairs, regular maintenance, new roofs, and re-roofs. Roseville Roofing has provided roofing services in Sacramento and the surrounding areas since 1989. Serving both residential and commercial customers, Roseville Roofing has experience with inspection, repair, and re-roofing projects. They work in a range of materials including PVC single-membrane, TPO single-membrane, slate and tile, metal standing seam, composite shingle, and stone-coated metal. Custom gutter installation and roof ventilation services are also available. Family-owned S&S Roofing in Citrus Heights was founded in 2003, and serves commercial and residential clients in Sacramento and throughout Northern California. They offer roof restoration services and are familiar with a range of materials including built-up systems, modified bitumen, coal tar pitch, metal roofing, single-ply membranes, and roof coatings. Other services include tear-offs, deck replacements, sheet metal fabrication, and of course, leak repairs. They also take special care to integrate a customer’s rooftop solar installation with their roof system for safety and problem-free operation. Showtime Roofing & Remodeling is a Roseville contractor providing roofing services to residential and commercial customers throughout the Sacramento area. They specialize in re-roofing and roof repair for insurance claims. Their expertise includes metal roofing, composite roofing, tile roofing, and flat-roof systems like single poly and built-up roofing. Free estimates are available. Sunrise Solar Roofing is a residential and commercial roofing contractor in Rancho Cordova. The family-owned and operated business has installed solar panel systems and roofing in the Sacramento area since 2008 and has a management team with more than 30 years of industry experience. Consultations are available, and each solar installation is custom designed for the individual roof. T and T Roofing works with a range of roofing materials, including cedar shakes, composition shingles, tiles, and flat roof coating material. They offer repair and re-roof services. Other services include inspection, cleaning, gutter replacement, and attic ventilation installation. T and T Roofing has served the Sacramento area since 1974. Founded in 1992, White River Roofing is a family owned, state licensed roofing contractor serving communities within 100 miles of Sacramento. They inspect and repair existing roofs, and replace roofs that are beyond repair. Their specialty in installing roofs on new construction, and they work with both composite shingles and the long-lasting clay tiles that are popular in much of California.